PHOENIX — Jose Arturo Gonzalez Carranza had no idea what was going on when he was driving to work on what he thought was a typical Monday morning. Gonzalez didn't even realize it was Immigration and Customs Enforcement until he got to the building on Central Avenue, where an agent told him he would be deported to Mexico. Gonzalez, 30, is a military widower. 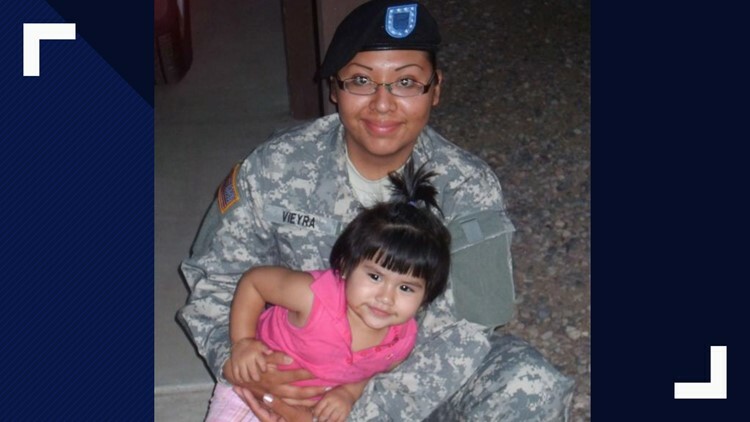 His wife, Barbara Vieyra was killed at age 22 on Sept. 18, 2010, while serving in the U.S. Army in Afghanistan. She was killed on Gonzalez's birthday. The two have a daughter, now 12 years old, who Gonzalez shares custody of along with Vieyra's parents. Guadalupe Vieyra, Barbara's sister, says Gonzalez had limited involvement in their daughter's life since Barbara's death. 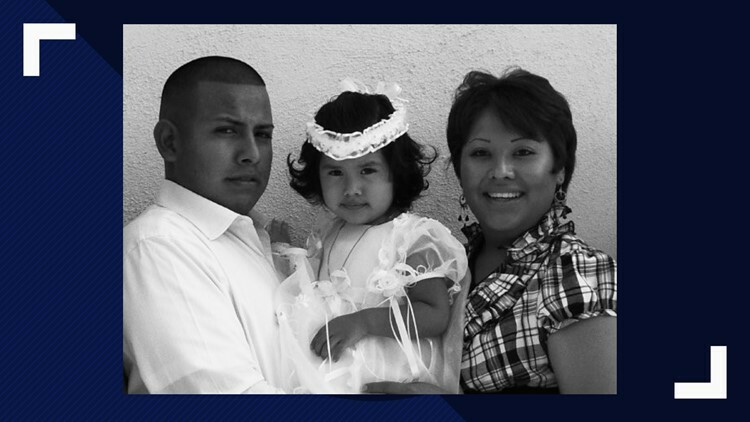 She lives with Vieyra's parents, Guadalupe Vieyra told 12 News on Wednesday. According to Gonzalez's immigration attorney, Ezequiel Hernandez, the couple did not yet file for paperwork to get his green card when Vieyra was still alive, and Gonzalez was late in getting information about surviving spouses of military personnel after her death. Hernandez said Gonzalez was taken into custody and put in front of a judge at Phoenix Immigration Court in 2017. A judge terminated Gonzalez's deportation proceedings at the Phoenix Immigration Court in February 2018. Gonzalez says he was never notified. “I never received any kind of paper," Gonzalez said. "The first time this happened, the judge gave me an opportunity to be a United States legal and I do my best. I never missed anything, any kind of information, any kind of paper, any time I needed to be in front of an immigration judge, I was always there. I’ll always be on time to renew my permits, everything. But I never received anything to tell me I have a new hearing." Because he didn't appear in court in December, ICE deported Gonzalez last Wednesday. Hernandez said one of the hardest parts about the last 24 hours was Gonzalez calling him and asking if he’ll be able to see his daughter again and other questions Hernandez said he didn’t have answers to. ICE issued a statement to 12 News Tuesday, saying that the deportation happened. Hernandez said ICE was at fault for not properly notifying Gonzalez about a court date. The attorney filed a motion to reopen with the court, citing a lack of communication and other errors by ICE. “Whether it was an oversight, we’ll never know but I think from filing that second notice to appear with the court, I think the errors are clear, as we demonstrated in the motion to reopen," Hernandez said. This story was updated on April 17 to include a statement from a Vieyra family member and ICE.